Cheryl Rogers, author of a new series aimed at pre-teens, starting with Lost in the Woods, which you can get free today, Monday, and Tuesday on Kindle. 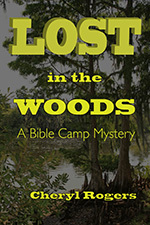 Lost in the Woods: A Bible Camp Mystery, a brand new mystery adventure for preteens and teens, is available for free this black Friday weekend in the Amazon Kindle Store. The book set in the Florida backwoods is the story about a boys’ church group whose first-ever nature retreat turns into a nightmare. Problems begin early when the no-see-ums strike at dusk. And it’s downhill from there when 13-year-old Zack mysteriously disappears in the middle of the night, several of the campers become sick, and a hurricane threatens the Gulf Coast. The story shares biblical principles and the message of God’s saving love in an action-packed plot with a cast of lovable characters. Readers encounter the nature-loving Zack, shy, video-loving Chang, tough and cocky Steve, and the reluctant chef, Bill. The book is written by Cheryl Rogers, publisher of New Christian Books Online Magazine, a free publication with new book announcements, excerpts, author marketing news, digital book news, features and an online storefront. “As a mom I’ve been privileged to work with school and church groups. I try to capture the realism of those experiences in a fiction account that shares my faith,” Rogers says. Rogers, a Miami native who worked several years as a newspaper reporter, writes ebooks encouraging people of all ages to seek God and stay connected to his word. Among her books are Finding God: Biblical Answers to Questions About Our Maker and Fast Track to Victory, A Christian Guidebook. She targets preteens and teens with Just Like Jonah Wail Tales, a collection of short stories teaching there is a price to pay when you disobey. A family book, the I Can See Christian Storybook Treasury aims to defeat doubts about God as a child grows. Rogers came to know the Lord as an adult after suffering a devastating illness. “It is my hope to spare others the needless pain of not having God in their lives,” she says. An experienced camper and native Floridian, Rogers has traversed the backwoods trails, swatted no-see-ums, paddled canoes, and pitched her tent on primitive campsites sans electricity. The book retails for $2.99, but Get your free copy today. The giveaway runs Nov. 23, 24, and 25. Exclusive details about the lovable Bible Camp Mystery characters will be published in the coming weeks at New Christian Books Online Magazine. I’m following the fabulous Linda Glaz from http://lindaglaz.blogspot.com/2012/11/the-next-big-thing-day-late.htm , who shared about her prequel to her World War II novels, the romance that led up to the characters in those stories. Sounds like fun! I’m sharing today about the next book in my Buried Treasure series, due out in 2013. Writing has finally become an okay full-time business for me, nine years after I said I'd give it a year and a half. Keep writing, keep producing, keep doing the best you can, network, like this, make friends, help others. Use common sense, and have fun! The third in a series, this story clears up some leftover questions in the second book. Judy found an old quilt in a trunk in her attic that turned out to be stuffed with an old newspaper, one that had some letters circled in an article. The circled letters, were, of course a code. I came up with the idea from studying about the Civil War era in American history, how messages were created and sent during that time. Ah…I don’t often think this way, so…Judy is kind of a sensitive Amy Adams-type; while Olivia is clueless but engaging Ellen Page-ish. 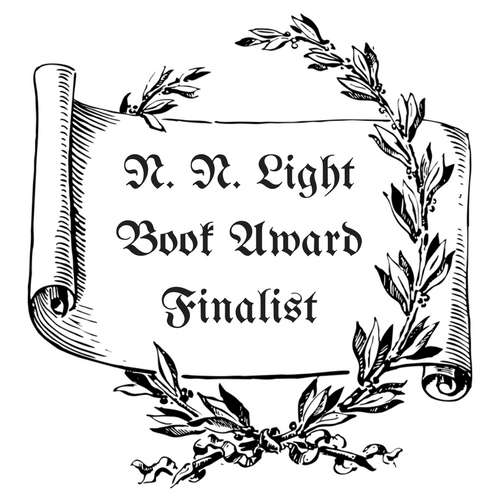 Judy Wingate’s NOT-BFF, Olivia Hargrove of the Robertsville Reporter, discovers a Civil War-era secret newspaper code that may lead to seven million dollars of missing city money. It’s contracted by the publisher who picked up the mystery series from Barbour. Four years – which is terrible of me; but I took a three-year break after I got half-way; in reality, less than six months. Brenda Hendricks (see below) was my supporter and loyal critique partner during the first half, and Gail Pallotta (also see beloe) has stepped in as chief accountability and critique partner during the second half. It’s been a joy and relief seeing my story unfold through the eyes of these wonderful authors. A little like the Cat Who mysteries, and Hannah Reed’s Queen Bee mysteries. The mysteries were initially inspired by Barbour Publishing’s Heartsong Presents: Mysteries book club. As I met other mystery writers and learned about the style of writing, I was inspired by people like Deb Baker and re-explored Agatha Christie with fresh eyes, reminded myself of the Nancy Drew-type stories and pacing for the coziness of approach. The story is one of learning to fit in and make friends. Olivia is a bit clueless about how to deal with people, and Judy isn’t sure she wants anything to do with Olivia on a personal level, but the women come to respect and help each other, and to step away from their prejudices. Gail Palotta - http://www.gailpallotta.blogspot.com - whom I've had the pleasure of working with both at Other Sheep and Clash of the Titles (http://www.clashofthetitles.com), writes a lot like me, certainly a challenge to keep all our genres in order. I enjoy her sense of outside the box, as well as her vulnerability. Shelley Wilburn - http://www.shelleywilburn.org - really, friends, just visiting Shelley's site and seeing the picture and reading about her and her husband's activities is worth the visit! 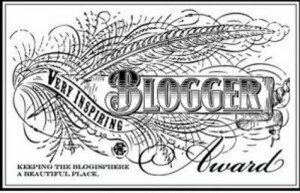 Brenda K Hendricks - http://www.myquotesofencouragement.com - who's working on a very, very cool story, one you won't want to miss: Maggie’s greatest worry is a leaky roof before her estranged niece Dawn shows up unexpectedly with more baggage than she could squeeze in the trunk of her Volkswagen bug. Joanie Shawhan is an ovarian cancer survivor and a registered nurse. She writes articles of encouragement for women undergoing chemotherapy and is available for speaking engagements. Two of her articles have recently appeared in Coping with Cancer magazine. Joanie enjoys designing jewelry, knitting, and playing guitar. Swings. Swings conjure up memories of my carefree childhood. Higher and higher I flew. I grabbed the chains, pumped my feet and sang at the top of my lungs. But life in a “swing” state has violated this childlike innocence. A new kind of violence has emerged–political assassination. Traditional commercials bowed to scandalmongering campaign ads. Even Fact Check struggled to sift the truth from the lies. Debates replaced primetime shows, making the boxing ring appear to be a two-step. Shout. Sneer. Interrupt. Raise a fist. The match is on! Fight over, (oops, debate over). A winner declared. The presidential campaign trail led to my city not once, but twice! With two large lakes surrounding us, the traffic was rerouted to make way for the entourage of 18 police motorcycles, two black limos with darkened windows, followed by a train of white vans loaded with the press corps. We waited at stoplights while the lights changed from red, to green, to red… No alternate route. Streets barricaded. The 9-5 work force hindered. For security reasons, university classes cancelled. Robo callers barraged my voicemail with unsolicited political opinions. “Unknown Number” inundated my private phone line, overtaking the volume of personal calls. As the election approached the finish line, I performed the one act that any self-respecting person would do­–take the phone off the hook. Now, the election is over. Promises made only to be broken. The other driver, my only traffic hindrance. Verbal assaults and slander return to the soap operas, violence to primetime. The phone is silent. (Did I put it back on the hook?). Chili’s fired-up favorites, adventures in the F4 pick-up and the breakfast of champions have made a peaceful return to my commercial screen. With multiple reruns, education for the aging population is underway once again featuring Boniva, Ginkgo Biloba, Lifeline and Depends. Santa, snowmen and twinkling Christmas lights will soon replace glaring yard signs. Life is back to normal in the “swing” state. 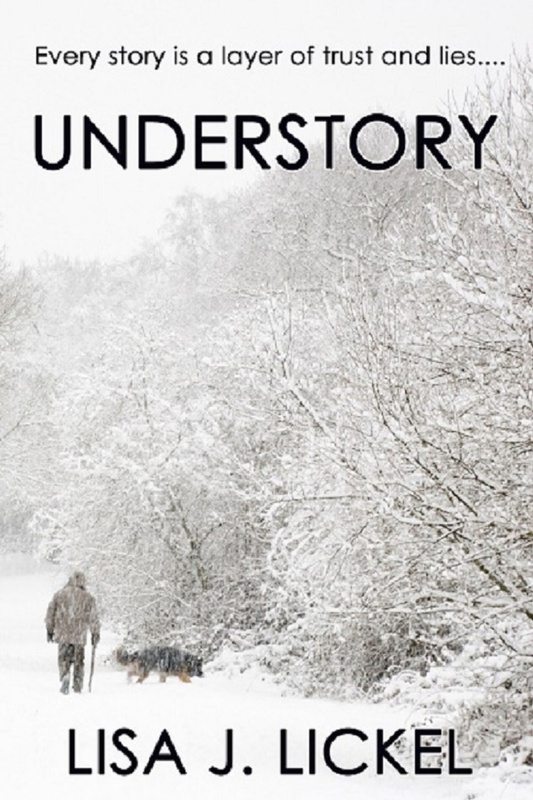 Everything Claire wants seems to be beyond her reach... After losing her mother to cancer and suffering a miscarriage soon after, Claire Ferguson numbs the pain with alcohol and pills, and wonders if her own life is worth living. Adopted at birth, Claire is convinced she has some unknown genetic flaw that may have been the cause of her miscarriage. She must find a way to deal with the guilt she harbors. But exoneration will come with a price. With her marriage in trouble and her father refusing to answer any questions about her adoption, Claire begins the search for her birth mother. For the first time in her life, she really wants to know where she came from. But what if the woman who gave her life doesn't want to be found? Cathy West seems to excel at poking for your heart, cutting it into tiny little pieces, ripping out your guts and sewing it all back together with a little extra love and admiration added in. No sophomore syndrome for this author, in my opinion. Right from the start of West’s new novel, Hidden in the Heart, I walked with Claire, who was completely out of control with grief and fear and loss of identity despite having everything most people only dream of. She certainly wasn’t likeable, nor could she even like herself. 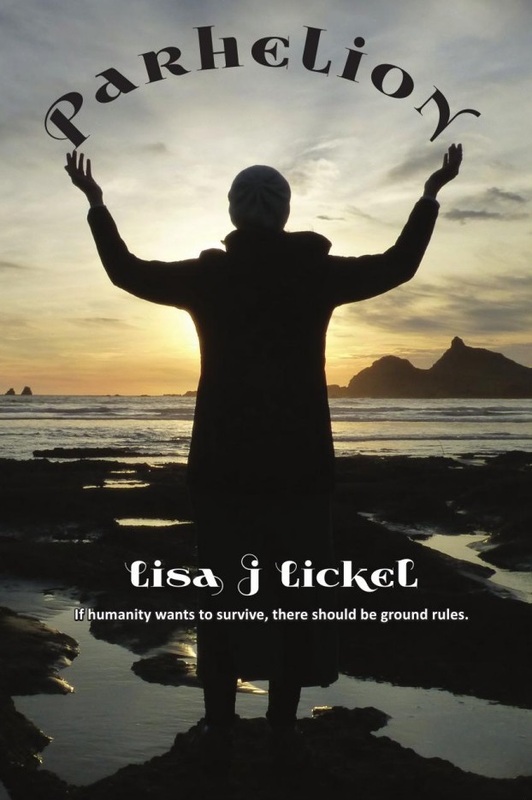 In her determination to find a cause or someone to blame for her miscarriage she sets out to find her birth parents. West drew the threads of her story together tactfully. It wasn’t hard to figure out who was who, but, rather, the novel was more an exploration of who they became. Why do we abandon the things or people we love? Only from great depths can people rise to new freedom, and sometimes only when we are offered a second chance to revisit our past can we learn to forgive ourselves, let alone the people we wound. Claire might have had everything from a husband determined to love her no matter how self-destructive and hatefully embarrassing she’d become, wealth and a loving home, but she threw it all away in order to search for answers to fill the hole in her identity, even if the rest of her birth family is determined to keep secrets or bent on revealing the worst of themselves. Readers shouldn’t be surprised at the real conclusions, but will certainly grieve and rejoice with Claire and her new-found sense of self and family. West says her novel is very loosely on her own experiences of being adopted. I’ve come to admire this author for her realism, the depth of character and the beauty-in-the-face-of-ugliness of her story lines. Well done. 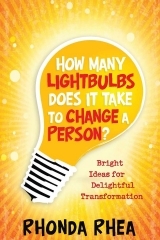 How Many Lightbulbs Does It Take to Change a Person? I admit it, I’m a cruise fan. I love everything about it. Especially the food. A cruise and overeating go together like a hand in glove. Well more accurately, they go together like a size ten hand in a size two glove. All the gourmet food you can eat, for crying out loud! I guess I was just asking for a trip back to maternity pants. I now refer to myself as “17 years post-partum.” The staff on the ship said the average person gains seven to ten pounds on a seven-day cruise. But then, I’ve always considered myself an overachiever. On prime rib night, my husband and I were walking out of the dining room and, even though he was about to let his belt out a notch, Richie said he was thinking of ordering yet another prime rib. Another one! I figured that could cost him at least another two belt notches. I told him I thought that would be a mistake. Get it? Prime rib? “Mis-steak”? Anytime we’re going to overdo, though, it’s good to make sure we’re “overdoing” in all the right areas. First Thessalonians 4:1 talks about living right to please God and then it says, “Now we ask you and urge you in the Lord Jesus to do this more and more.” To do and to overdo. It’s an encouragement to keep growing. Not so much growing in the “bring on the elastic waistbands” kind of growth. But growing in maturity. Rejecting His instruction? Rejecting the Father Himself? Mistake of the highest order. Growing in Him and dwelling in His presence results in a life in which growing “a notch or two” spiritually is a regular happening. The good kind of growth. And seeking that consistency in growth diligently. There’s a lot at stake. Sometimes also a lot at steak. 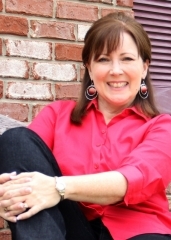 Rhonda Rhea is a radio personality, humor columnist, conference/event speaker and author of eight books, including I’m Dreaming of Some White Chocolate, High Heels in High Places, and her newest, How Many Lightbulbs Does It Take to Change a Person? She is presently working on her ninth nonfiction book, scheduled to release in early 2013, and just this week got a yes from a publishing board on a two-book fiction deal co-authored with her daughter, Kaley Faith Rhea. Rhonda is a pastor’s wife and mother of five mostly grown children. She chuckles through the hubbub with pastor/hubby, Richie Rhea, near St. Louis in Troy, Missouri. In Ephesians 1:18, Paul prays, “that the eyes of your heart may be enlightened.” One version calls it “light” that will “flood your hearts.” God shines so much of His light through Scripture so that we can see—we can have understanding. For every person longing for a change, for everyone who is getting weary in a grisly struggle to make a particular change, God-given enlightenment makes possible real change in every way. Lasting change. The God who is powerful enough to create light, then create the sun—the God who keeps the sun blazing and the stars and moon reflecting—that same God is powerful enough, caring enough, and detail-minded enough to light our way. He wants to show us the path of change, and He longs to light the way for us in His magnificent plan for our lives. How Many Lightbulbs Does It Take to Change a Person is a laugh-along-the-way journey into that light through God’s Word. His Word? Now there’s some enlightening! And I hear enlightening has even been known to strike twice in the same place. The Diaries of Pontius Pilate opens with the murder of a member of an archeological team along the shores of the Dead Sea. We learn that the murderer and victim are both spies observing the expedition and grappling with the fact that the team has just discovered some controversial artifacts. In fact, archaeologists Kevin Elliot Jill Gates have unearthed twenty mysterious copper scrolls. They manage to open one scroll far enough to take a series of digital photographs of the writings and email them to a Professor of Ancient Latin for translation. Unaware of the content, Kevin and Jill are unprepared when they’re caught between an ancient conspiracy of global power that’s determined to destroy the scrolls along with everyone connected to them and a small interfaith group of former military volunteers, the only force on earth that stands between the truth and certain death. Joseph Max Lewis, former Green Beret, debuts with a page-turning thriller. Although the author asked for a review and sent a review copy, I did purchase the e-book. Diaries is part conspiracy theory, part archaeology, part special ops and technological suspense with some torture and a little romance. The reader is sent between international and inter-denominational power groups, but it’s not clear at first who are the good guys and which are the bad, which only ramps the tension. Moving through Israel, the US, academia, and anonymous torture chambers where evil reigns, readers gradually learn along with archaeologists Kevin and Jill exactly the importance of the long-held secret they unearthed. Never published, documented, or even more than faintly rumored, the existence of Pontius Pilate’s, one-time Roman ruler of Palestine at the time of Christ, investigation into the life, death, and resurrection of Jesus could affect the faith of the world. Pilate hid the diaries perhaps too well, for they lay silent for two thousand years, along with other artifacts from that horrible time. Running from those who want to destroy evidence of the diaries and anyone who knows about them, Kevin and Jill must figure out who to trust as they are forced into close quarters on a ship. They wonder if they can even trust each other. Over the course of time, they examine their feelings as well as matters of faith while trying to keep the scrolls safe. Diaries is not for the faint of heart, as scenes of massacre and torture are somewhat graphic. Intriguing details of military operations are detailed, as one would expect given the author’s background. Little formatting glitches and occasional other errors don’t stop the action much; I occasionally buzzed through extra-long passages of technology which others would probably enjoy. The romantic relationship was a little rough and spastic, but the story was not meant to be built around a romance, and those elements will only get better in future work, I suspect. I look forward to more from this author. At 99 cents, this book makes a great Christmas gift for your tween's Kindle! A truly epic adventure for readers of all ages: although Lorilyn calls this a YA coming of age story, it's every bit as wondrous for adults. 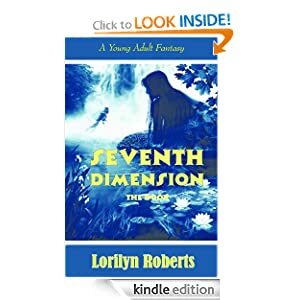 The author has studied the classics, and only subsequent reads will help you find the planted symbolism that makes Seventh Dimension-The Door a clever read. You'll find a loving nod to Pilgrim's Progress if you follow the little white dog into the woods. Shale Snyder has a dreadful accident as a young girl, and finds it difficult to forgive herself or move forward when the victim refuses to accept her grief or confession. Grief is accompanied by hatred which colors Shale's world. She is given a second chance, however, in a fantastic land of talking animals (grown from Roberts's first story, The Donkey and the King), an allegory which makes teaching your children about forgiveness, good and evil, a much easier task. Follow Shale and her new friends as she travels on an adventure of a lifetime to find the king while also growing out of her bad habits into a self-assured young woman who learns obedience and gratitude despite willfulness in the face of despair. Finding the father she always wanted, and his new wife and mysterious servants, help Shale unravel the truth of her long-ago accident, and face the consequences with a clean heart. Truth, time travel, self-doubt, sacrifice, forgiveness and even all four loves, are explored in depth in this soon-to-be beloved tale of supernatural grace. Told in third person from Shale's point of view, with humor, dread, sorrow and shame, Roberts's time-honored story-telling will make you feel part of the adventure and eagerly anticipating the next book. 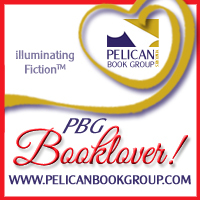 Visit the following sites for great authors and book info- get everyone you love a book this year! Have A Very Merry, Blessed Christmas Filled with Good Reading and Good Cheer!!! And A Happy New Year!! !